The Indian state’s tourism ministry has put in a suggestion that Russian tourists get a visa on landing at the Dabolim International Airport. With its sun-kissed and coconut tree-lined beaches, Goa has always been the most attractive place for Russian tourists in India. Now the former Portuguese colony may become even more accessible for those looking to escape the long and brutal Russian winters. The tourism ministry of the state of Goa has put a suggestion with India’s central government that tourists from Russia, along with those from Germany, France and the Netherlands, should be eligible for simplified entry-visa procedures and be extended the facility of visa-on-arrival. Currently, citizens of 11 countries enjoy the right to receive visas upon arrival in nine of India’s airports, including Dabolim International Airport in Goa. The tourism minister of Goa, Dilip Parulekar, recently returned from Delhi after attending a meeting of state tourism ministers, where the idea of extending the visa-on-arrival was discussed. The request was forwarded to Chiranjeevi, India’s Tourism Minister. “I have requested Union Minister for Tourism Chiranjeevi to include more countries like Russia, Germany, France and Netherlands in the list of countries whose citizens can be granted visa-on-arrival facility,” Parulekar said, adding that such a measure would give tourism to India a boost. 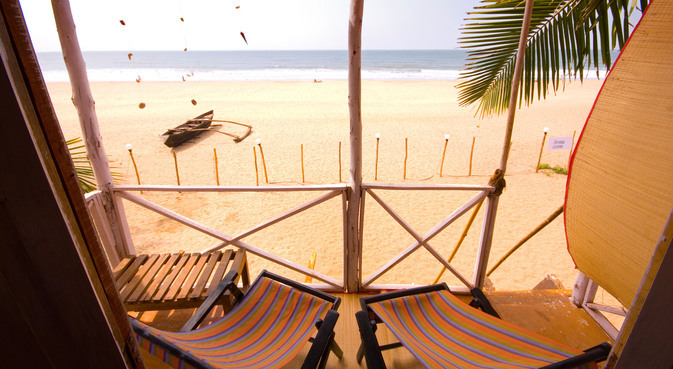 The United Kingdom is the largest source of foreign tourists to Goa, followed by Russia. Parulekar also praised the central government’s decision to allow organised groups of four or more tourists to obtain entry visas at the Goa airport, although the move comes with riders: travel operators responsible for organizing group tours are obliged to guarantee that none of the tourists break away from the group and that all of them stick to the approved itinerary. Many Russian tourists spend 3 to 6 months in Goa, often sending their children to Russian-language kindergartens. Some Russian citizens even have long-term residence permits for India and have settled in northern Goa. In May, a honorary Russian consulate was opened in the state. Russia also operates honorary consulates in Hyderabad and Thiruvananthapuram, along with the consulates in Mumbai, Chennai and Kolkata. For northern India, consular issues are handled by the Consular Department of the Russian Embassy in New Delhi. Russia and India have identified tourism and encouragement of people-to-people as core areas of cooperation. In 2011, the countries simplified visa formalities for each other’s citizens and this had led to a increased two-way tourist traffic. Based on Tourprom.ru, Travpr.com, ITAR-TASS.